WOW! Incredibly cheap flights to USA: Miami for only €205! If you want to visit Florida next year, don’t wait a single second. 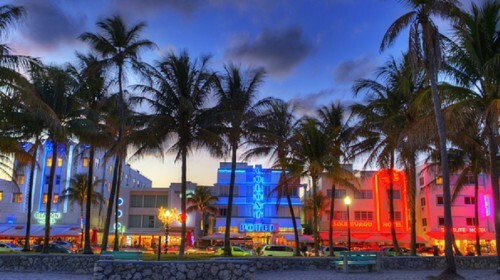 Return flights from Stockholm to Miami are now available for only €205! You can fly also from Oslo for approx. €40 more (direct flights!) or from Stavanger or Helsinki. Normal tickets would cost you at least €450 or more! This is obviously an error fare from SAS that can be fixed at any time so we recommend really fast purchase of the ticket. Travel dates are from January to June 2017. 23 kg luggage is also included in the price! Travel time is great with just 1 transfer and approx 11 hour travel time. Book via Momondo to get this great price! « Crazy cheap flights from UK, Germany and Belgium to Romania for only €2.99!